Hi friends! Since we’re well into December now, I imagine many of you may be either starting or rounding out your holiday shopping. If you’re not yet familiar with Backpack Buddha, I highly recommend checking them out! 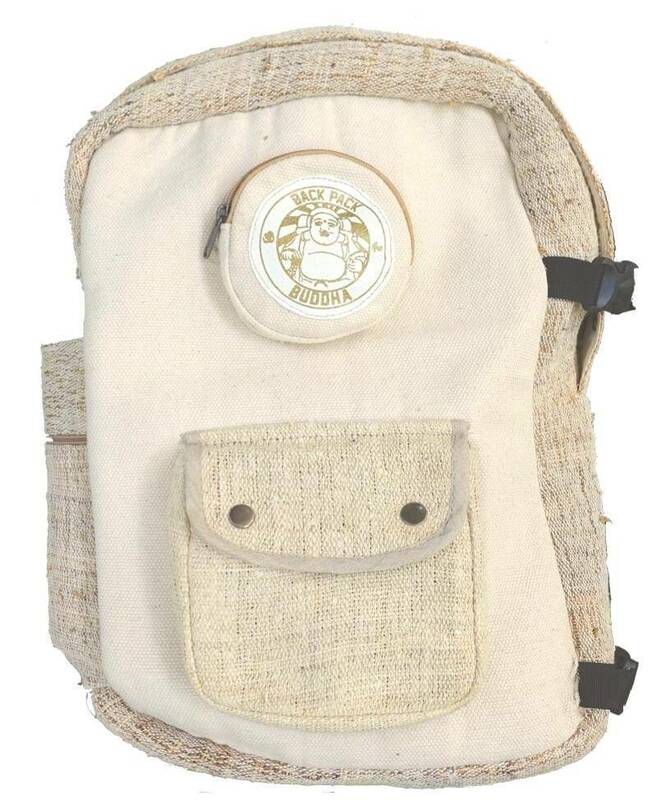 What I love about Backpack Buddha is that they not only offer beautiful fair-trade, eco-friendly products, supporting craftsmen and women in Nepal, they also donate 10 percent of their profits to a number of worthy causes. Started in 2015, they base their entire business model on good karma, and it shows in how they operate. These come in four sizes, ranging from $27 to $57. I own the Himalayan Hemp #1, pictured here. Handcrafted from 100 percent Himalayan hemp and cotton from the foothills of the Himalayas, this practical day bag can carry up to two full mala strands in a dedicated Mala pouch, a laptop up to 15 inches, a standard sized yoga mat, and a reusable water bottle. This unique collection of chakra crystals, jewelry, and tools includes a number of beautiful options including a 7-chakra dream catcher that’s currently hanging right next to my front door and the 108-bead chakra mala pictured above ($37). As you’ll see if you click through to the site, each of the seven crystals corresponds with a different mantra, which can be a nice addition to your daily meditation practice. 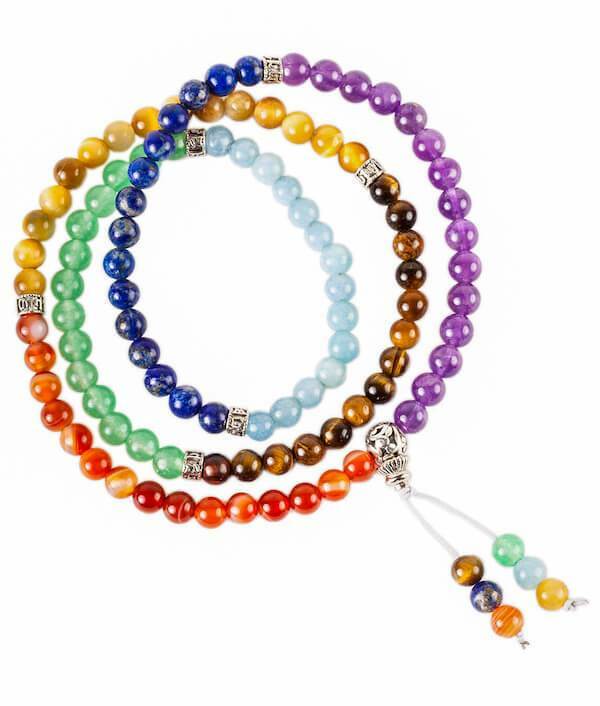 Each mala comes with a 7-page eGuide to help you use your beads as a medium for mindfulness, tranquility, and contentment. While the Everyday Enlightenment Journal is designed to help you calm anxiety, find purpose, and love your life in twenty-one days, the Everynight Enlightenment Journal can help you relax your body and mind and get better sleep—and it may also inspire positive dreams. Above you’ll find the Prayer Flag Journal ($14), which I recently gave to my boyfriend as a gift. 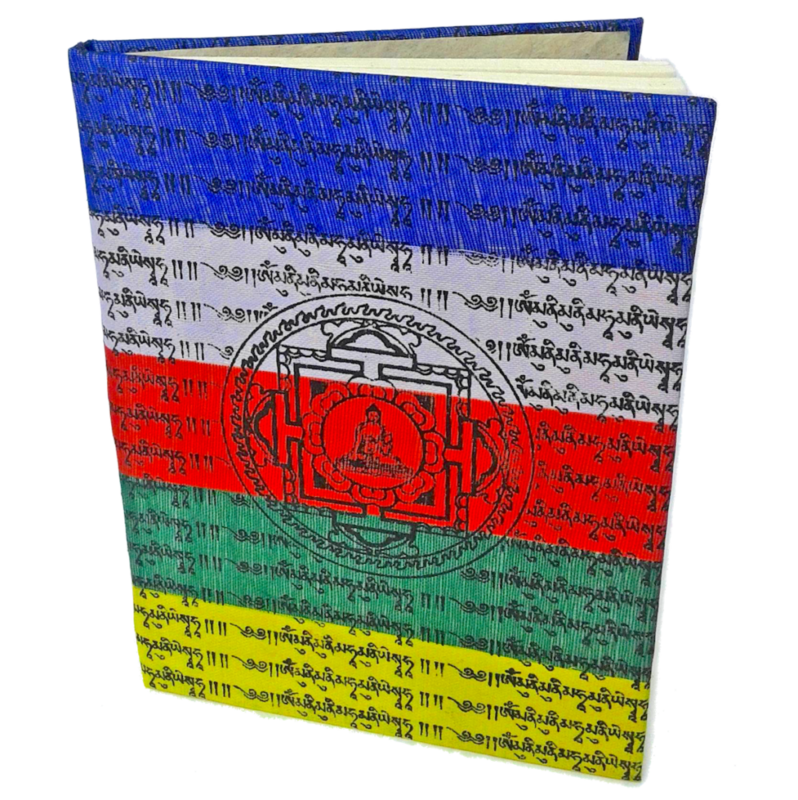 Made from Lokta bark paper—by hand, in a village with a 2,000-year history of making this special paper—this journal is covered in the five elements of traditional Buddhist prayer flags: sky, air, water, fire, and earth. Blessed by monks from the Woechen Thuk-Je Choeling Monastary, Swayambhu Temple, in Kathmandu, Nepal, these unique mala offerings include the conch shell mala above ($97). 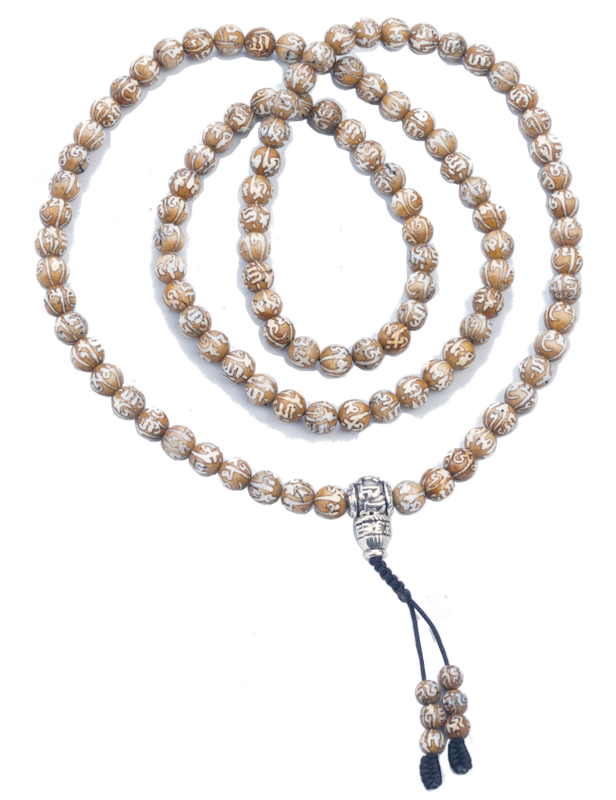 These beautiful malas come with 108 om-engraved shell beads. As a huge coloring fan, I’ve seen some pretty cool coloring books in recent years, but none by Jim Hensen’s cartoonist. World-renowned illustrator Guy Gilchrest had a hand in Fraggle Rock, Looney Tunes, Muppet Babies, Tom & Jerry, and more, and has illustrated over sixty children’s books. His latest offering, recommended for kids age five to twelve, is intended to foster positive emotional growth through concepts of compassion, gratitude, and love. Kids will love following the adventures of Buddha Bear, whose goals are to be kind to everyone he meets, to breathe and stay calm when he’s frustrated, and to appreciate all his blessings. 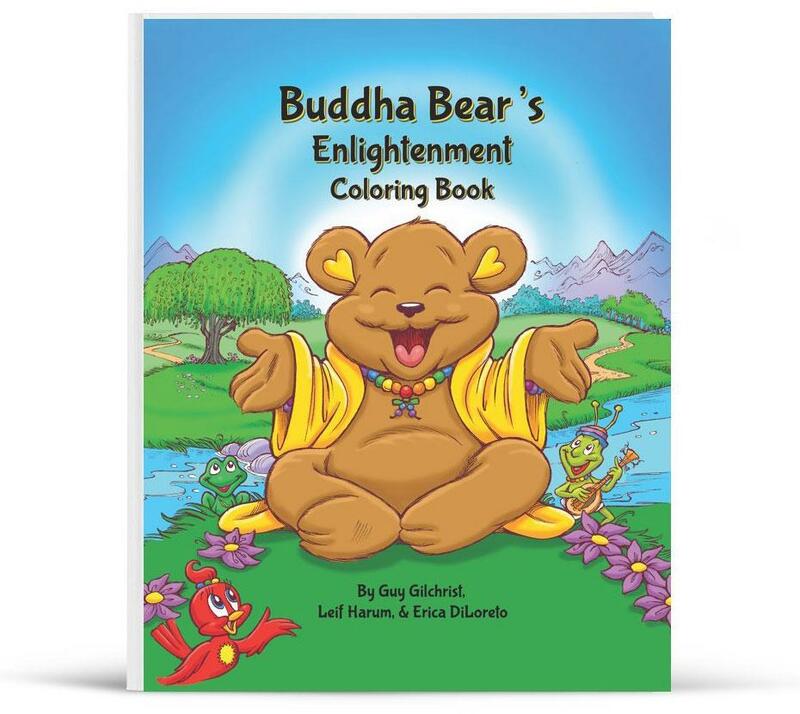 For every copy of Buddha Bear’s Enlightenment Coloring Book sold, Backpack Buddha will provide a school grade notebook and pencil for an underprivileged student, grades 2-8, in the Kathmandu valley. I’m a huge fan of Backpack Buddha, and their founder Leif Harum, who’s been a pleasure to connect with. I hope you, or your loved ones, will enjoy their offerings as much as I have! **Though this is a sponsored post, you can trust I only promote products and services I personally love! Lori Deschene is the founder of Tiny Buddha and Recreate Your Life Story, an online course that helps you let go of the past and live a life you love. Her latest book, Tiny Buddha’s Worry Journal, which includes 15 coloring pages, is now available. For daily wisdom, follow Tiny Buddha on Twitter, Facebook & Instagram. The post Introducing Backpack Buddha: Meditation Tools and Spiritual Gifts appeared first on Tiny Buddha. 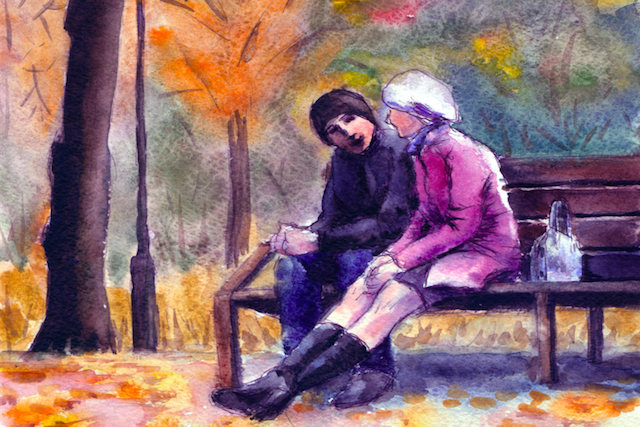 The post Knowing When to Let Go of Relationships: 3 Signs It’s Time to Move On appeared first on Tiny Buddha.